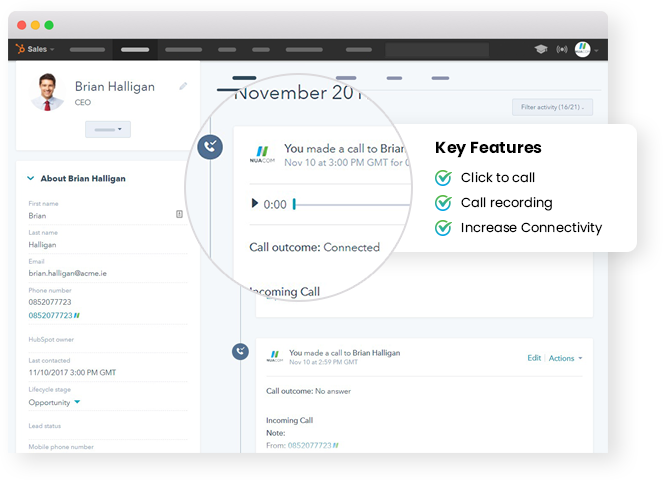 Consolidate your calls with emails, in one place! All call logs are displayed in the HubSpot Interface, under contact profile page. 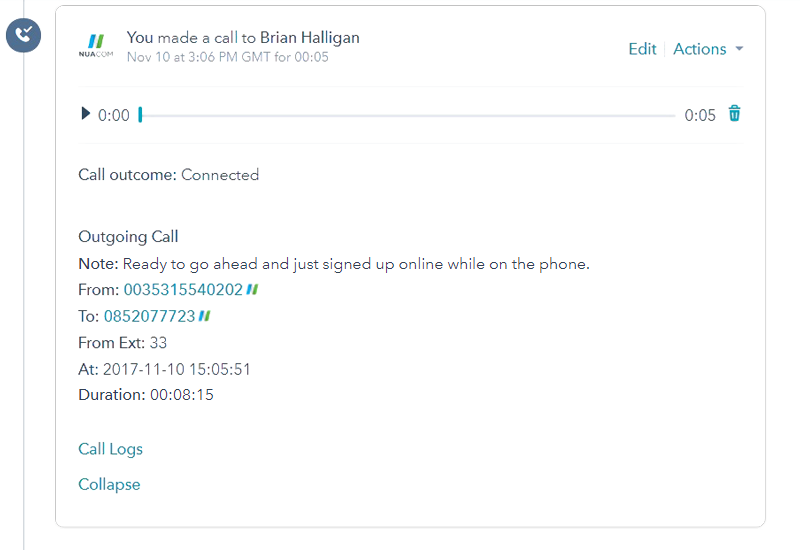 Notes can be added to a call activity as an outcome of the conversation. Managers can easily find out the outcome of the call or even playback. FREE for 6 months for our Cloud and PRO Package users.